We all have that diehard foodie in our lives that are impossible to shop for. A trendy new kitchen gadget? They were first in line to buy it. 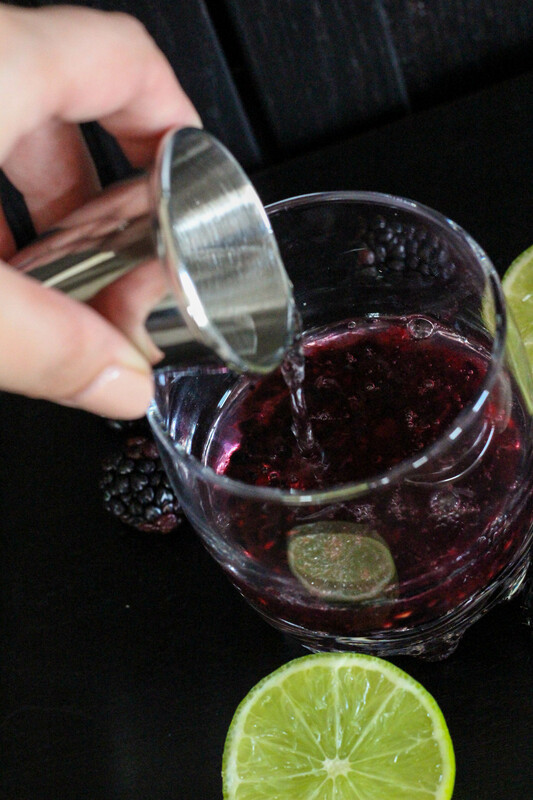 Fancy stemware for cocktail parties? They already have 4 different sets. Exotic ingredient from a far away land? They already traveled there and brought back a crate. I know this impossible-to-gift person because I am that person! I literally have every appliance imaginable times two. No joke, I have 3 full china cabinets in my garage. 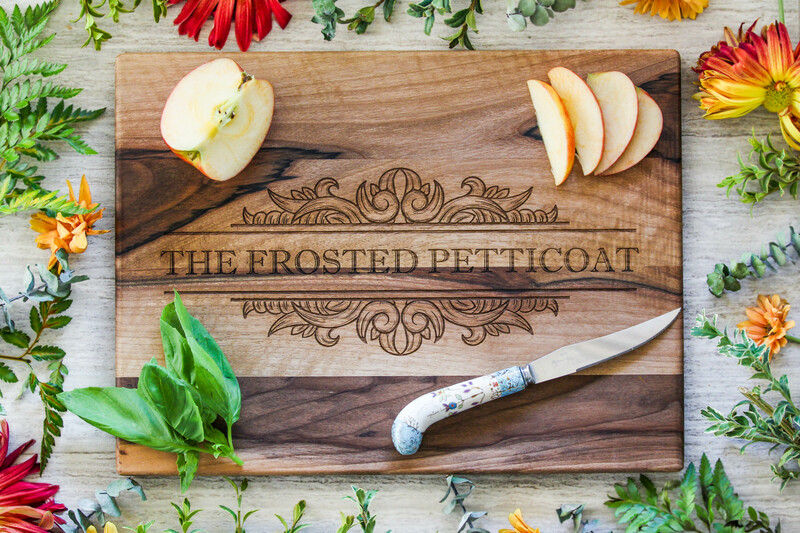 But there is one thing that us ride or die foodies don’t have… customized kitchen & dining accessories! And what better place to get them in time for the holidays than at Amazon Handmade. With handcrafted, unique gifts sold by small business, it’s a great shopping resource. I have put together the ultimate customized foodie gift guide for the year and even purchased one of the items to show you just how fabulous this gift idea really is. Let’s get to the list! Amazon Handmade has an amazing selection of gift options, with more than 50% of the selection being customizable or made-to-order. And my #1 pick for a foodie gift falls squarely in this category. 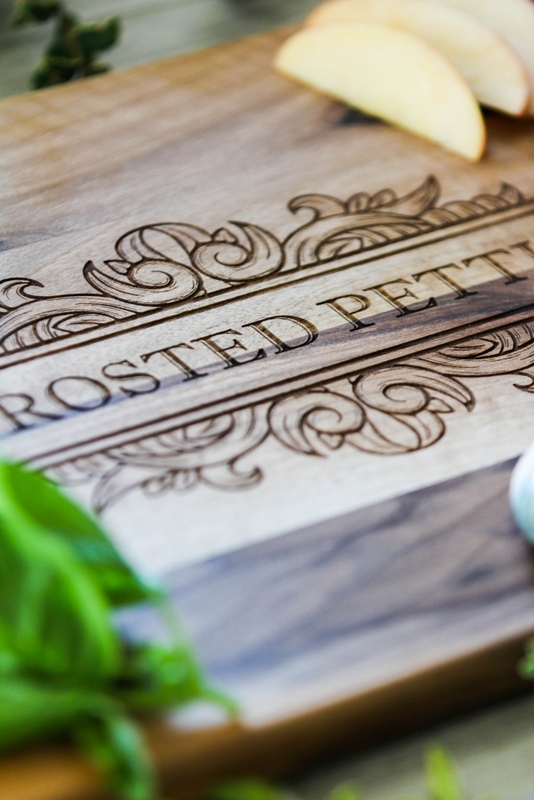 The Engraved Chopping Block by The Hrdwood Shop is absolutely stunning! Not only is the quality stellar and the design options unlimited, you can literally have anything engraved into the block. 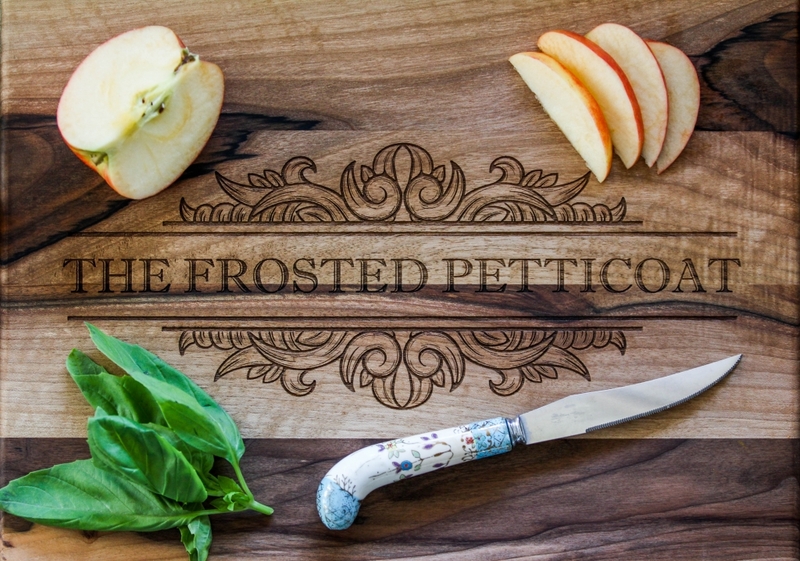 I couldn’t resist getting a customized moniker chopping block to commemorate my business. 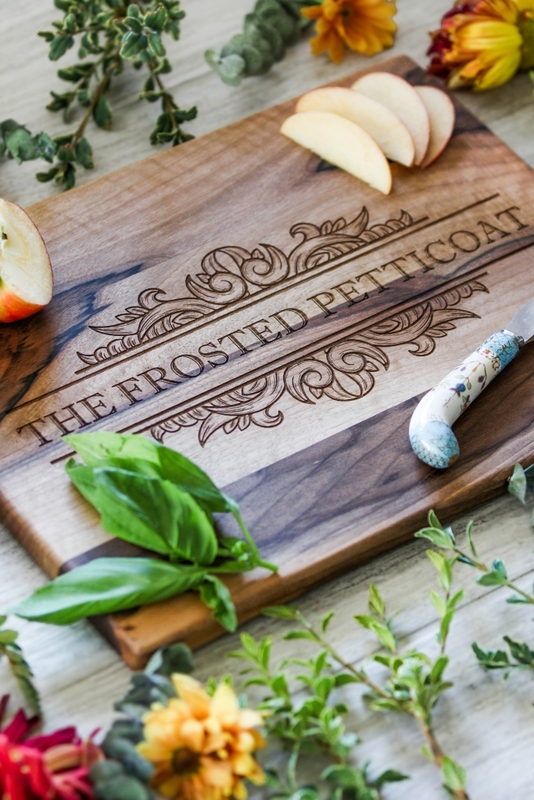 Get the Engraved Chopping Block here! This one is for that diehard griller in your life who already has all their grilling tools. But I bet they don’t have their very own branding iron to sizzle their initials into their famous steak! 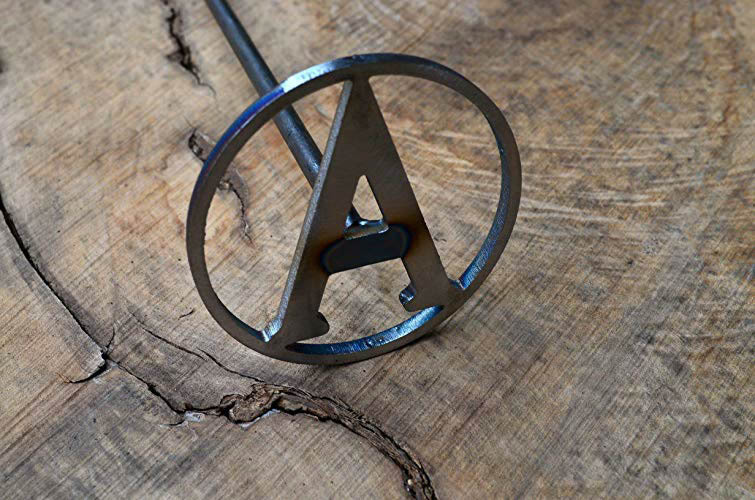 The Welded Keller will literally weld custom initials to create a one-of-a-kind steak brander. Seriously, how cool is this gift?! Do you have a group of girlfriends who are your brunch cohorts? Then these personalized champagne flutesby Nicole Sews are the way to go! Get one of each of the girls and then pop open a bottle of bubbly to celebrate. We all have someone in our life who is obsessed with all things caffeine. 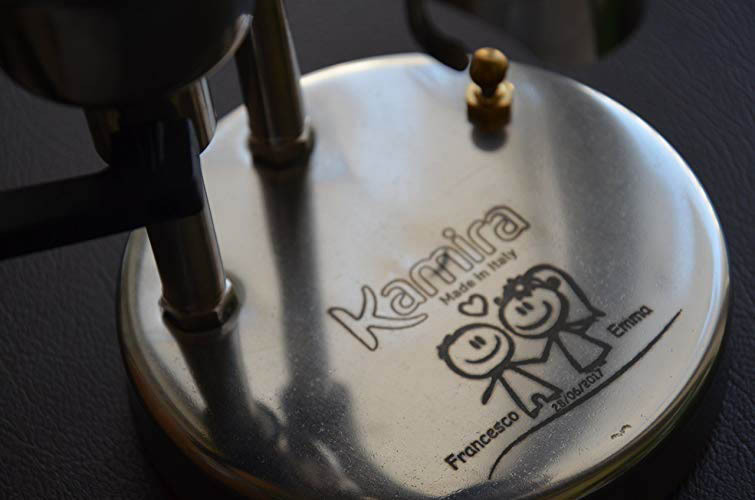 Well treat them to their very own, customized espresso maker by Kamira. Engrave a sweet message and then gift them this undeniably awesome present! 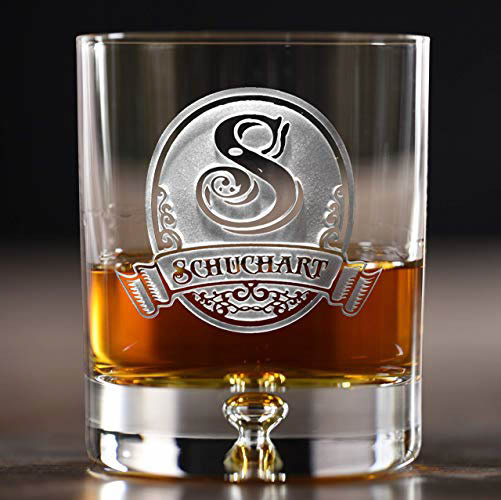 Take whisky to the next level with these stunningly etched tumbler glasses by Crystal Imagery. 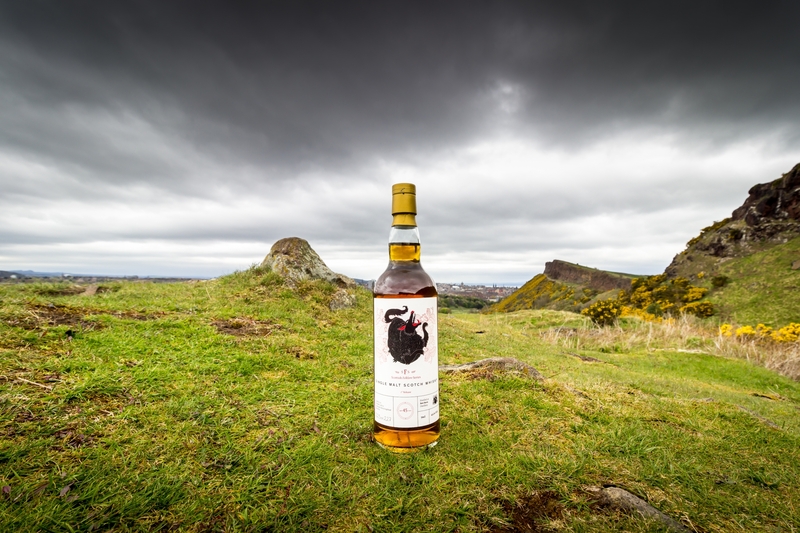 With a personalized family crest on the glass, I guarantee this will be a gift they won’t soon forget. Don’t know what to bring as a hostess gift to the next holiday gathering? 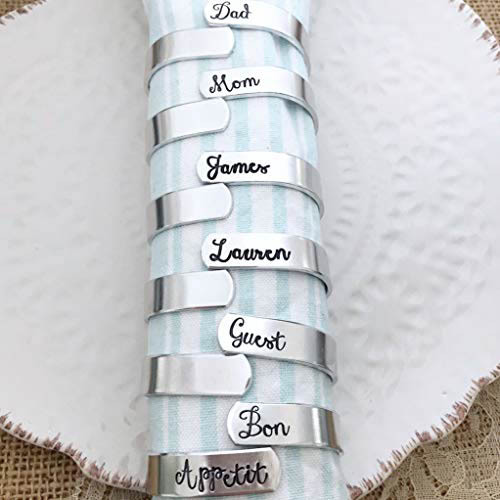 Then check out these sweet personalized napkin rings by Lorelei Vella. 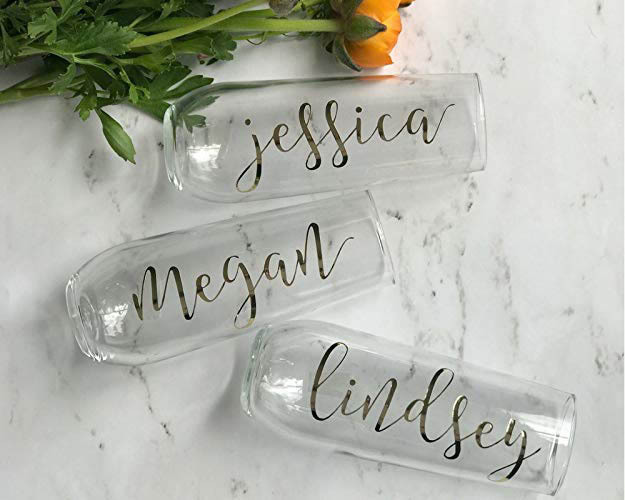 Customize them with names, phrases, or initials for an extremely thoughtful and unique gift. The best part of shopping with Amazon Handmade is the fact that it includes Prime two-day shipping and the site’s customer-centric experience. As an extra incentive, Prime Members will receive 20% off certain items in Amazon Handmade from November 15th to December 31st. So get to shopping and have a lovely holiday season! Oh how I wish I saw this before Christmas! My son would have loved that cutting board and the steak brander. He is an amazing cook! Wonderful gift suggestions! I wasn’t aware of this on Amazon. 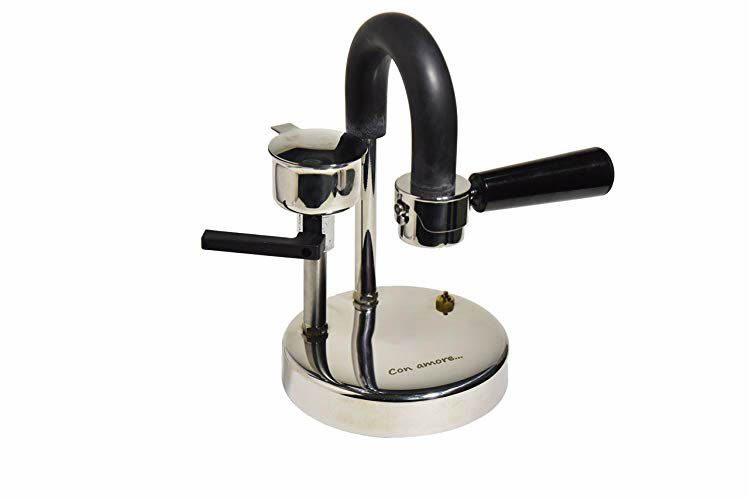 This is a great expresso maker for those of us that like a quick boost and great coffee. This is cool! I didn’t know amazon had a handmade section! Awesome gifts for family and friends! Lots of great gift ideas!! Really detailed and personalized gift! That is a gorgeous board! Wow! all the engravings are just beautiful! Oh that engraved espresso maker! I love it!